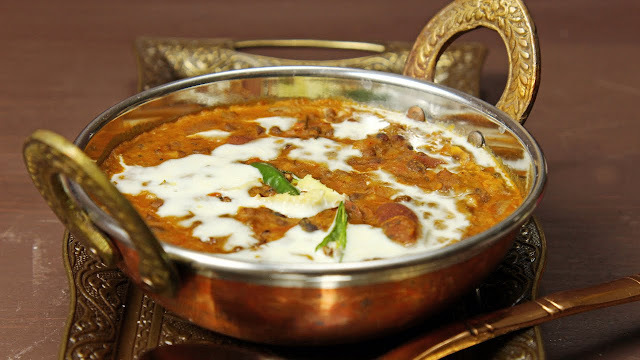 The most popular lentil based cuisine in Punjab and other North Indian states, DalMakhani is a favorite for all of us. The dish is made using a mixture of Kidney Beans and whole black gram peas in a creamy mixture of thinly chopped vegetables such as tomatoes and onions. The dish takes a lot of time to be ready because the dish gets as better as it can while being allowed to cook slowly. Dal Fry is amongst the most easily prepared, lightweight cuisine made out of yellow lentils. Also known as Tur or Toovar in the country, this dish has a thick consistency levels in the gravy. You can use black mustard seeds, jeera seeds and turmeric power to add flavors and chili powder to add spice to the dish. This type of Dal cuisine is usually made by making smooth, creamy dal gravy with mixtures of spices to create a smoky charcoal flavor in the dish. The word Tadka refers to tempering and the tempering technique is used to add herbs and spices, fried in oil, to the Dal gravy. A very popular Bengali dish, it uses chana dal or the very famous Bengal gram and is cooked with numerous spices to give a strong flavor with coconut also added to provide a contrast. The gravy is very thick and the Cholar dal is best served with kachori or luchi. It can also be consumed with steamed basmati rice. The addition of Punjabi tadka and flavors to Bengal gram or chana dal is the mixture you should at least taste for once in your life. The Bengal gram seeds are seasoned and tempered with numerous North Indian spices to provide a spicy flavor to the dish. This dish is very popular in the south Indian states, mostly in Andhra Pradesh. The dish includes Pigeon pea lentils to be gently cooked in tomato puree as slowly as you can. A mixture of spices and herbs are added with cooking the dish in a pan to give it a tangy flavor. The dish is usually best served with boiled or steamed rice. Coriander leaves are added to provide added flavor to the dish. The normal Dal Fry that we make at home is very different to the ones we are able to enjoy at roadside Dhabas. The Dal fry you enjoy at the Dhabas are spicier in nature and contains a lot more flavors than you add at your home. The high amount of cream is also added to Dhaba Style Dal Fry to make the gravy slightly less thick as compared to the one we enjoy at our home. A very famous lintel dish made using whole black gram peas or Urad dal, as famously called in India, Dal Bukhara is one recipe you should make at home at least once. The black gram peas are slowly cooked in a very rich, creamy tomato puree and high amounts of butter and cream are added to make the dish as light as possible. The dish is served best with thick, stuffed butter naan. Varan Bhaat is among the most popular food you can find in the regions surrounding Maharashtra. It is usually reserved for special occasions such as the Ganesh Chaturthi festival or other numerous festivals or marriage functions celebrated in the state. The dal is made using the pigeon pea lentils and is served with hot steamed rice. The traditional Rajasthani Panchmel Dal is made using five different lentils as the name suggests. Also known as the Panchratna Dal, it is dish rich in protein and has a very delicious taste besides a good aroma surrounding it. Dals or Lentils are an indispensable part of our daily cuisines. With a number of lentils available from different regions across the country, it provides us with a number of high quality dishes such as Dal Makhani, Tadka Dal and Dal Fry, each of which can be easily made and enjoyed at home.